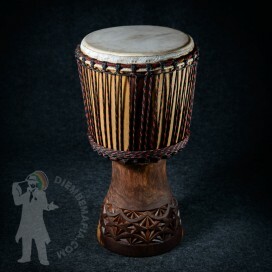 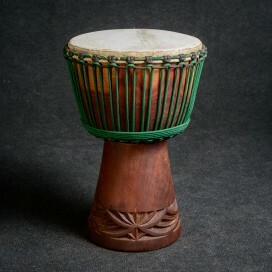 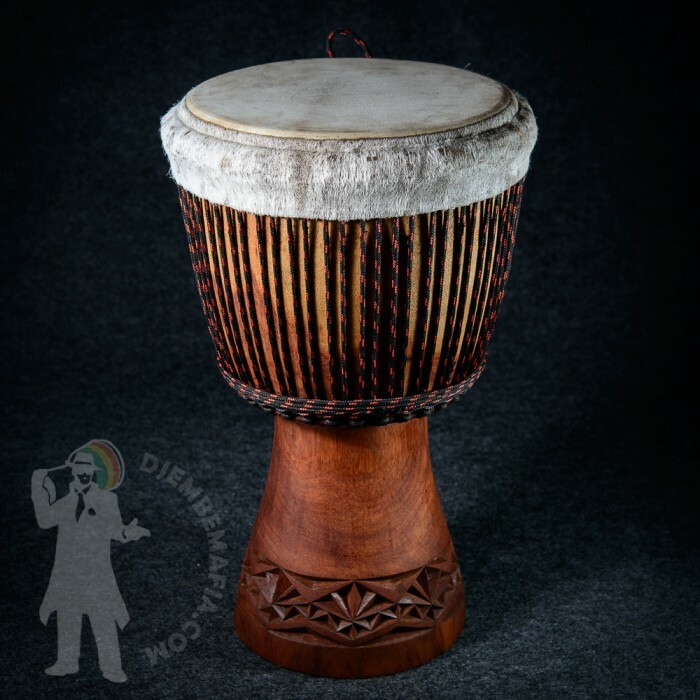 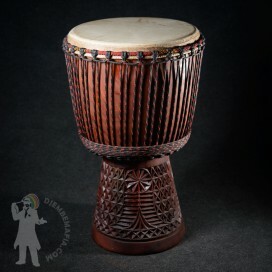 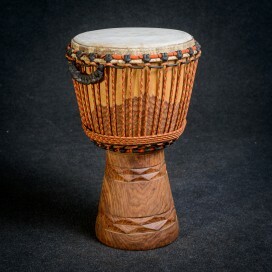 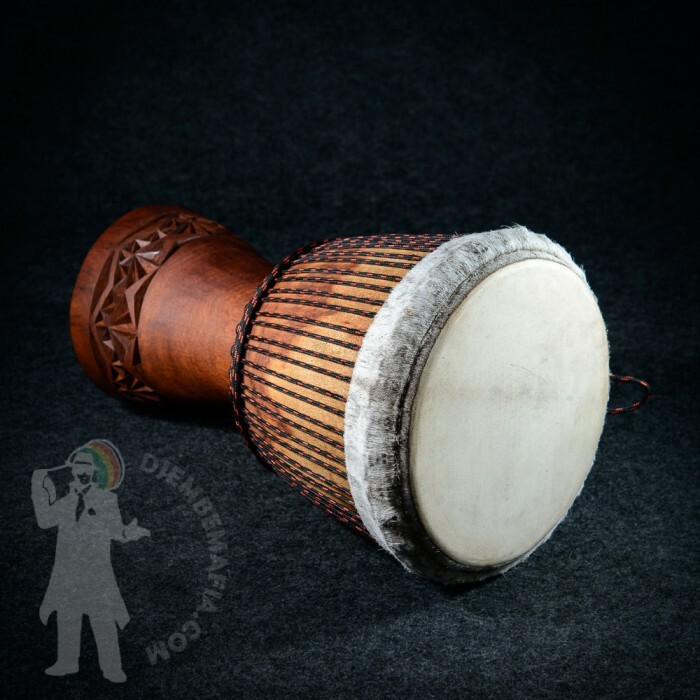 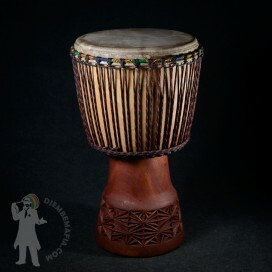 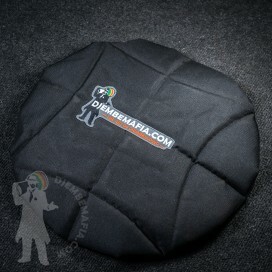 Beautifully made and carved professional djembe drum from Mali. 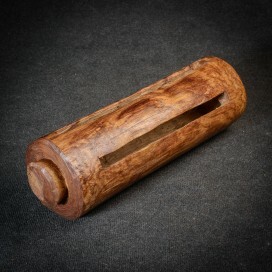 Made from hard mahagony Lenké wood. 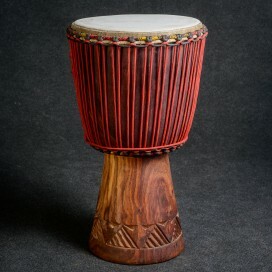 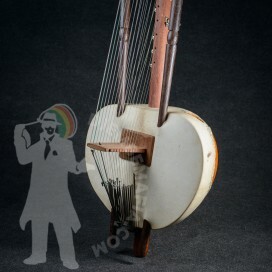 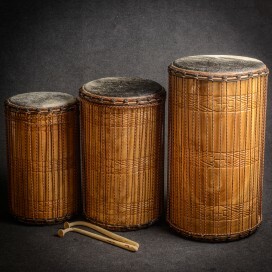 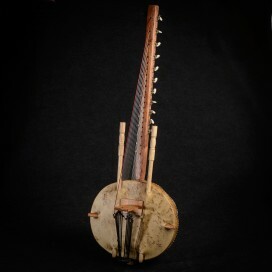 Typical round malian drum shape. 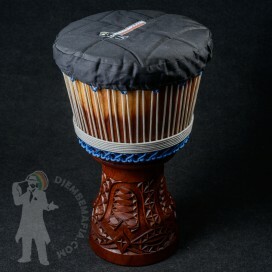 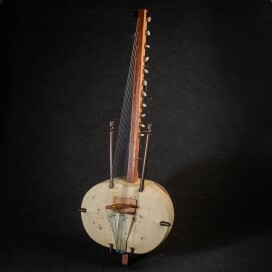 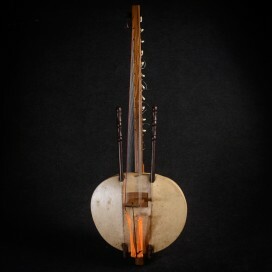 Perfect malian goat skin and warm clear sound.